This fun Topsey Turvey Cake was for a Batmitzva. The invitation had a beautiful purple butterfly on it so I used that design element as inspiration for the cake. 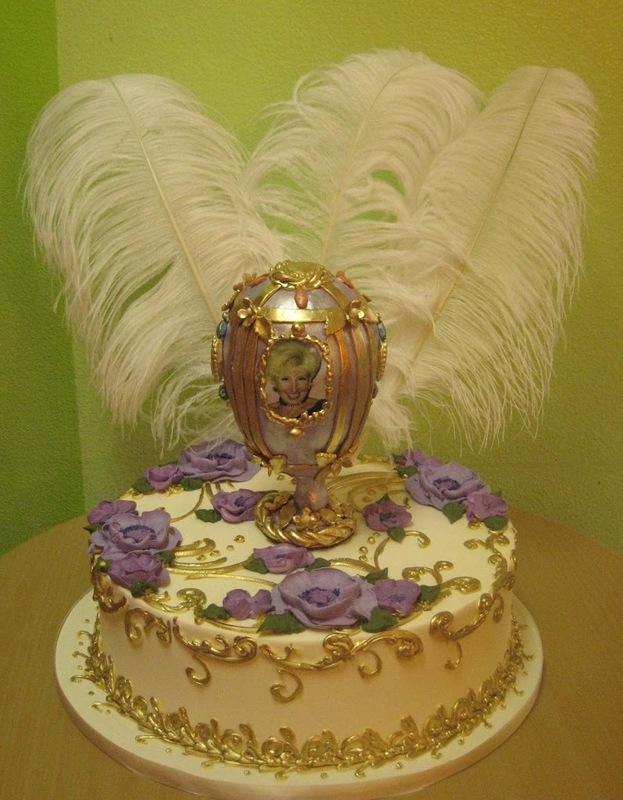 I am so happy to have had another request for my customized, hand made sugar Faberge Egg toppers. This time the topper was for a birthday. I used photos of the birthday lady on the egg and as well as her favorite color purple as the background color of the egg and for the flowers.